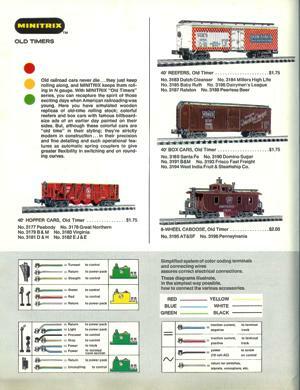 By 1971, American Tortoise had produced a revised and improved catalog, with different graphics from the previous year’s catalog, which was largely a reprint of the Postage Stamp Trains catalog. It is not clear about the exact relationship between corporate ownership of the German manufacturing company called Trix and American Tortoise. 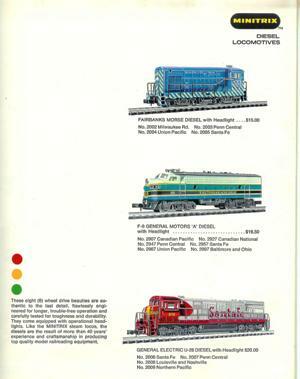 In subsequent years, Model Power also sold the Minitrix locomotives, under both the Minitrix name and the Model Power name. 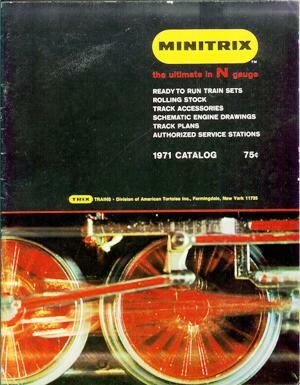 Regardless, the 1971 Minitrix catalog was filled with familiar faces. 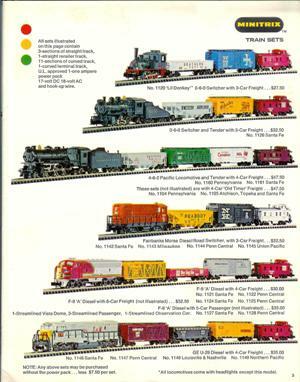 In any given year, the available freight cars in the Minitrix North American prototype line was fluid. There were some familiar cars and some new cars. Other cars had quietly disappeared. Roco, of Austria, produced the rolling stock and some cars were produced in a single production run and then discontinued. 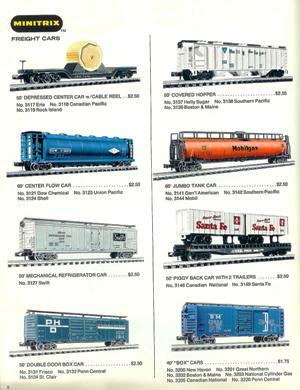 In some cases, the basic tooling of a freight car appeared in several different road names. In other cases, the tooling itself was used briefly and then not used again. 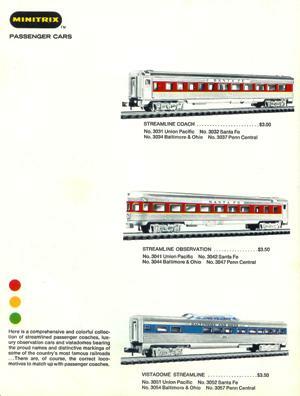 For example, the distinctive “Jumbo Tank Car” had been earlier offered by Atlas and was presumably manufactured by Roco. 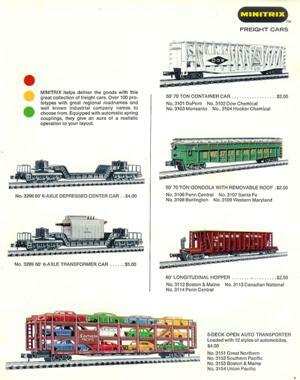 In the 1971 catalog, this car appeared in the Minitrix catalog. One clue would have been on the manufacturing markings on the bottom of the car. 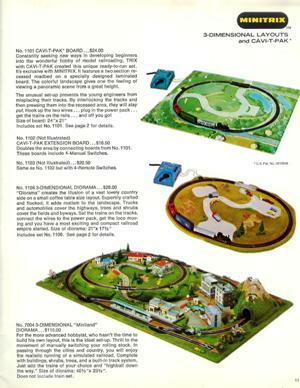 At the same time, some new cars appeared in the Minitrix - American Tortoise product line. These, too, were likely to have been manufactured by Roco. 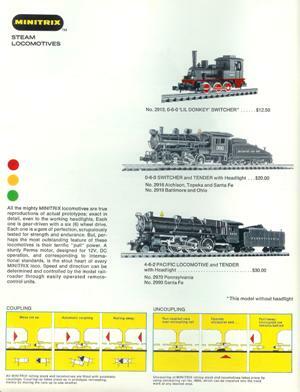 Also in the Minitrix - American Tortoise 1971 catalog were some manufactured layouts. Typically made of Styrofoam®, these were popular in the early 1970’s, but eventually were discontinued. 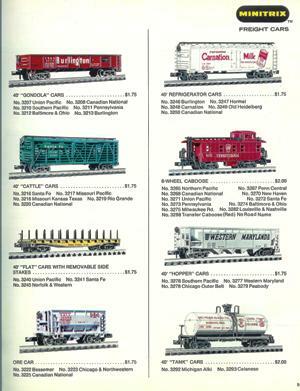 The two small layouts retailed for $24.00 and $28.00 respectively, while the large layout sold for $115.00, a very high price for 1971, when the minimum wage was $1.25 / hour, gasoline was $0.24 / gallon and soft drinks sold for $0.10. 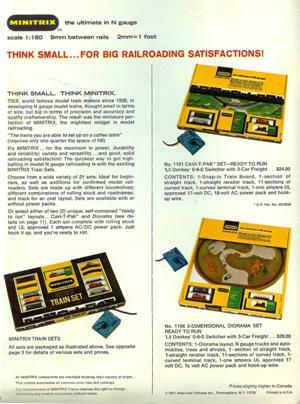 The balance of the 1971 Minitrix - American Tortoise catalog included the Minitrix track range, the Trix signals and electrical items, repair schematics for the locomotives listed in the catalog and track plans.